Following the completion of training at TekPro, we are delighted to welcome Nutrivet Misr as the newest addition to our web of international distributors. Dr Sarhan’s company, based in Giza, provides additives to feed pellet producers. 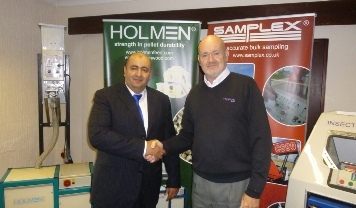 They plan to help improve their customers’ pellet quality by introducing them to Holmen Pellet Durability Testers.